In a cavernous auditorium in the state’s largest prison, a group of about a dozen men serving life or lengthy sentences for homicide or other violent crimes take their seats in a circle with a mother who has suffered the loss of two murdered sons. Some of the inmates seem nervous, shifting in their seats, staring down at the floor. 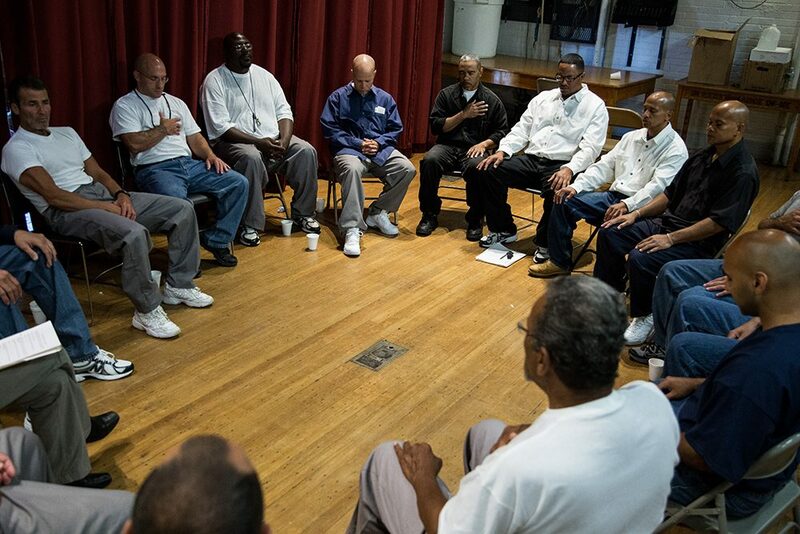 Forgiveness is the topic they have been given to discuss at this, the first small group session at a two-day retreat at Massachusetts Correctional Institution (MCI) — Norfolk on a concept called restorative justice. Based on indigenous traditions, it brings victims and offenders of crimes together in mediated dialogue. Isaura Mendes, the bereaved mother, urges the men in her circle to fully face their culpability, but not to let their worst acts define them. Several of the inmates say the shame they feel has made the notion of seeking forgiveness feel almost impossible. “I’m in for murder, and I’ve been in for 23 years," said Richie Hazard. "My two brothers were killed six months apart and I know what my mother went through. Later on down the line I ended up murdering, or being part of a murder, where I saw the mother on TV and she was crying and she fell down between two cops and had her head on a bumper. And whenever I think of forgiveness I always think of that image. And I think how could I forgive myself for that knowing what my mother went through." Sitting in circles like this one and opening up about their crimes and their own often traumatic backstories that preceded the violent, often deadly acts that sent them to prison is one of the centerpieces the Restorative Justice and Responsibility Retreat, now in its fourth year. It brings “inside men,” as the incarcerated call themselves, face to face with judges, pastors and relatives of murder victims. It is one of the only encounters of its kind in the United States. The criminal justice system focuses on determining who committed a crime and then determining the punishment. Restorative justice focuses on accountability and making amends. Ideally, proponents say, that comes from a mediated encounter between victim and offender. Victims can ask questions they never get to ask in a courtroom. Questions like: “Why did you murder my loved one?” and “Who are you today?” The process can bring healing for victims and rehabilitation for offenders, say its proponents. Mendes and the other victims at the retreat did not meet with the men directly responsible for the homicide of their loved one. But they met with perpetrators of other violent crimes. Another centerpoint of the weekend is a series of public apologies. An anxious silence fell over the prison auditorium when a row of incarcerated men filed in and stood before them. One of them was a 46-year-old mountain of a man, named Jefferson Hudson. His eyes were closed. His body trembled as he began his public apology. “Today I would like to say to Mr. Richie and Mr. Edward that I’m sorry. Not only to Mr. Richie and Mr. Edward, but their families, friends, that I have held hostage with my brutal and careless act,” he began. Many of the prisoners grew up surrounded by violence. In the circles the inmates, many of them lifers, share brutal memories. 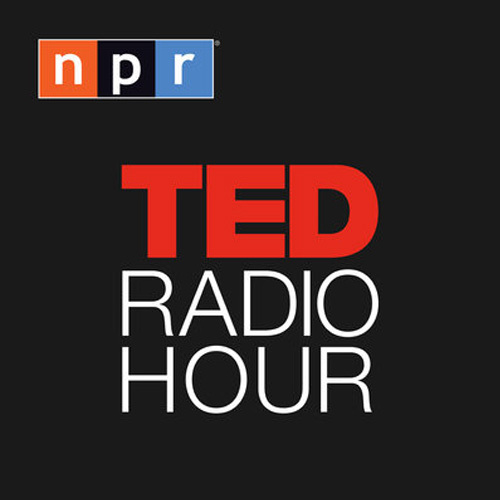 Some open up, sometimes for the first time publicly, about being sexually abused as children. Others recount beatings and seeing friends shot or stabbed. A recurring theme is the pain of growing up without fathers. Among the victims at the retreat were Kim and Ron Odom. Their 13-year-old son Steven was murdered as he walked home from a neighborhood basketball court in Dorchester in 2007. The couple heard gunshots from their living room and peering outside saw a basketball slowly rolling down the street. They rushed outside to find their youngest child dead. “I thought this would be the closest experience I have to dialogue with men who perhaps have the same mindset of the person or persons who contributed to my son’s murder and perhaps could give me answers to that lingering question, ‘Why?’ ” Odom said in a speech at the retreat. Clear answers remain elusive for Odom and her family, but in hearing the men’s stories and telling her own she speaks of finding a measure of restoration in an unlikely place. Odom’s words had a visceral impact on a former gang member serving life for two murders in Providence. Three other state prisons have begun experiments with restorative justice programs modeled on the ones in Norfolk. And state lawmakers are being asked to expand the effort. State Sen. Jamie Eldridge, a Democrat from Acton, has introduced a bill that would give law enforcement officers and courts the option of diverting some low-level cases to restorative justice mediation. “The really sad truth is that we have an extremely outdated prison system — very few programs for prisoners, and we do almost nothing for prisoners who are going to one day be released back into society,” Eldridge said. Prison inmates say their focus is typically on survival when they arrive in prison. But many say restorative justice has been a breakthrough. They say they can now humanize the people they once victimized. The inmates who've been most active in restorative justice programming say the effects can also be seen in their own records of good conduct. Many of the “inside men” are lifers who will never live beyond prison walls again. But several said they now feel a sense of purpose. On visiting days, they say they encourage their sons, brothers and nephews to walk away from the gang life; to stop the violence. It’s not easy for the Odoms to come to Norfolk. But Kim Odom says she believes that the unlikely pairing of men who have committed murder with family members whose relatives have been murdered can help stem the spiral of street violence. Close to the end of the first day of the retreat, a group of inmates appeared on the auditorium stage to perform a Boyz II Men song that pays tribute to mothers. Here in prison, which must feel like the furthest place from a mother’s nurturing reach, they sing of longing and regret but also connection. One of the byproducts of restorative justice practice, advocates say, is that it can help rebuild relationships within families. Correction: An earlier version of this article incorrectly said a group of inmates wrote the song it performed at the retreat. The song is actually the Boyz II Men song “A Song For Mama.” We regret the error and have removed the lyrics. This segment aired on February 16, 2016.